Steal everyone's thunder and make it your own wearing the Neil Barrett™ Belted Tunic Dress. Short sleeves with folded cuff option. Ribbon belt at the waist with adjustable buckle closure. Materials: 57% cupro, 43% cotton. Machine wash cold, lay flat to dry or can be dry cleaned. 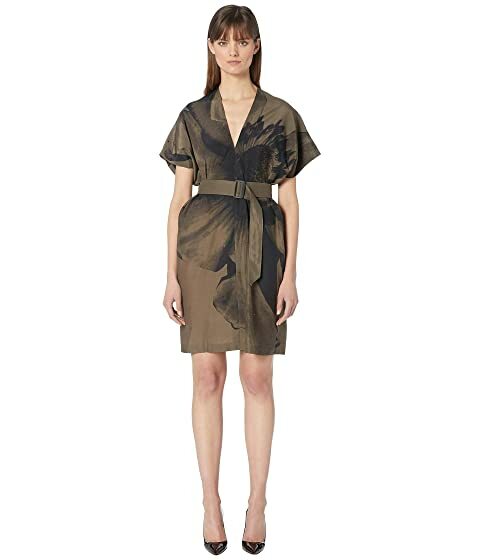 We can't currently find any similar items for the Belted Tunic Dress by Neil Barrett. Sorry!